What does English author Charles Dickens — the man who wrote A Christmas Carol and who described marvelous characters like Tiny Tim, Scrooge, Oliver Twist and Mr. Pickwick — have to do with sleep, and why am I writing about Dickens here? You will be surprised to know that Dickens and his writings have had a great impact on me and my career as a scientist and clinician. And he had an immeasurably great impact on the world. Most people were exposed to the writings of Charles Dickens in high school. In my case, it was A Tale of Two Cities and Great Expectations. I loved the books. Then for about a decade, Dickens was out of my mind. My second contact with Charles Dickens was when I was a medical resident at the Royal Victoria Hospital in Montreal. I was treating an obese patient who snored, was sleepy and was having seizures during sleep. Now how did this patient connect me again to Dickens? I thought I knew what was causing this patient's issues. About 16 years before then, in 1956, an article appeared in The American Journal of Medicine called, "Extreme obesity associated with alveolar hypoventilation; a Pickwickian syndrome." This was described as a disease in obese males who under-breathed ("alveolar hypoventilation") and who had severe daytime sleepiness. The authors mention that aspects of this "new" syndrome were described in a character, Joe the Fat Boy in the The Posthumous Papers of the Pickwick Club, written by Dickens and first published in serial form in 1836-37. As described in 1956, the key feature of the Pickwickian Syndrome was that the patient was under-breathing during the daytime and thus had an elevated carbon dioxide level, and that was causing the sleepiness. I had assumed that my patient had this as well, but he did not. We measured the patient's carbon dioxide level and it was normal. He did not have the Pickwickian Syndrome, he had something else. We had no clue what that something else was. One evening I made rounds, entered the patient's room and saw that he was asleep and he was gasping and struggling to breathe. I realized that this had to be playing a role in his symptoms. I convinced a friend and colleague at the time, a neurosurgery resident, to set up equipment to monitor this patient's breathing during sleep (this was way before the existence of clinical sleep labs). We discovered that the patient stopped breathing repeatedly, and together with the episodes of no breathing, his heart slowed or sometimes even stopped for up to 10 seconds. This was the cause of his seizures! His brain was deprived of blood when the heart stopped beating. The patient was sleepy not because his carbon dioxide level was high but because he snored and stopped breathing during sleep, and the brain awoke repeatedly in order for breathing to resume. Dickens had, in fact, described Joe as snoring! This was, at least in my mind, a new rare syndrome. I presented the case at grand rounds at the Royal Victoria Hospital and was encouraged to write it up for a medical journal. This report, perhaps the first description of sleep apnea in North America, is the first clinical paper I wrote from start to finish. It was accepted by the same journal, The American Journal of Medicine. The article was called "The sleep deprivation syndrome of the obese patient. A problem of periodic nocturnal upper airway obstruction." The better and now more familiar term, "obstructive sleep apnea syndrome," was not introduced until two to three years later. This was the beginning of my career in sleep medicine – and my rediscovery of Dickens. Remember that this was before the Internet, and there was no online access to the Library of Medicine. You had to use your local medical library, and McGill University had an excellent one. I found that the syndrome had been described roughly 10 years before in some European journals, and in 1972, a symposium was held in Rimini, Italy, about sleep breathing disorders. The symposium was written up in a French journal which few Americans read. The journal no longer exists. In his account of "Joe, the Fat Boy," Dickens described many of the features of my patient. 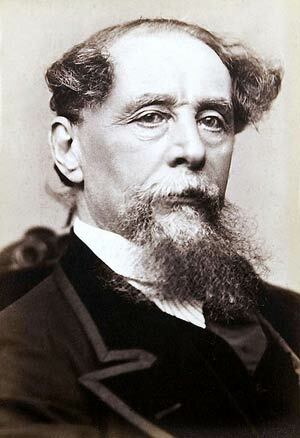 What a wonderful observer Dickens was. 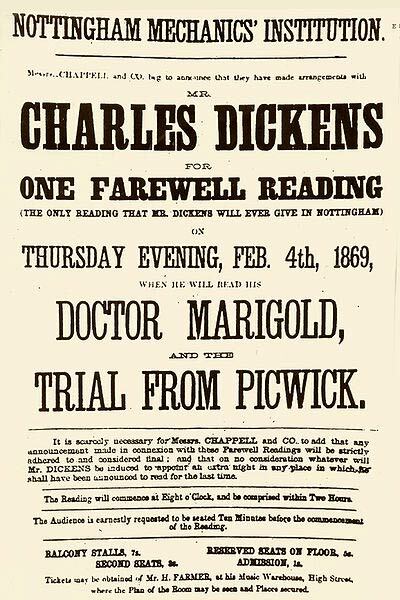 During the next 30 years of my career, I wrote three additional articles about Dickens and his contributions to society and medicine. The last was written about a year ago on the 200th anniversary of his birth. This great writer and social reformer had a tremendous impact. Not only did he create a universe of wonderful characters such as Tiny Tim, Scrooge, Mr. Pickwick, Pip, and Madame Defarge, he also helped develop the first pediatric hospital in the world, help found the first women's shelter, was the inspiration for the creation of the first orthopedics hospital to treat "cripples" like Tiny Tim, brought the world's attention to poverty and its effect on children, and wrote about slavery in America. He gave us wonderful descriptions of people with asthma, tuberculosis and several neurological disorders including Parkinson's, stroke and epilepsy. 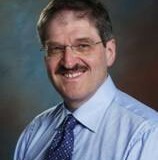 Dr. Meir H. Kryger is a physician and professor at the Yale School of Medicine and editor of Principles and Practice of Sleep Medicine, 5th Edition (Elsevier, 2011), Kryger's Sleep Medicine Review (Elsevier, 2011), and Atlas of Clinical Sleep Medicine (Elsevier, 2010). His latest eBook is The iGuide to Sleep (2012). Dr. Kryger's research has spanned all areas of sleep breathing disorders. 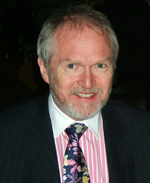 He has published more than 200 research articles and book chapters, he established the first laboratory to study patients with sleep breathing problems in Canada, and he was the first to diagnose and report obstructive sleep apnea in North America. Dr. Kryger has served as Chairman of the Board of the National Sleep Foundation and is a former president of the American Academy of Sleep Medicine and the Canadian Sleep Society.